Noted developer Steve Troughton-Smith on Friday said he is confident that Apple is working on new, standalone Music, Podcast and potentially Books apps for macOS, suggesting the company plans to dismantle its lumbering iTunes giant. Apple unveiled the start of its plan to bring iOS apps to the Mac at WWDC 2018. Shared in a series of tweets, Troughton-Smith's hypothesis lends credence to rumors that Apple intends to break up iTunes. The online music platform has over the years become bloated as it took on an increasing amount of responsibility, from iPod and iPhone management to video, podcasts and audiobooks. Apple in March confirmed a new TV app for Mac would arrive later this year as the company rolls out Apple TV+, taking video out of the iTunes stable. New Music and Podcast apps would further relieve the overburdened platform, while a refreshed Books app could include audiobook support. The developer did not share the source of his suspicions, but said the claims are based on concrete evidence. "I am now fairly confident based on evidence I don't wish to make public at this point that Apple is planning new (likely UIKit) Music, Podcasts, perhaps even Books, apps for macOS, to join the new TV app," Troughton-Smith said in a tweet. "I expect the four to be the next wave of Marzipan apps. Grain of salt, etc[.]" Troughton-Smith references Project Marzipan, Apple's internal name for a project that will ultimately allow developers to easily port iOS apps to Mac. Shades of the initiative were shared during 2018's Worldwide Developers Conference, when SVP Software Engineering Craig Federighi said Apple is working to incorporate iOS-only frameworks into macOS. Apple's macOS Mojave was first to benefit from Marzipan, with first-party apps Home, News, Voice Memos and Apple Books all being ports of their iOS counterparts. 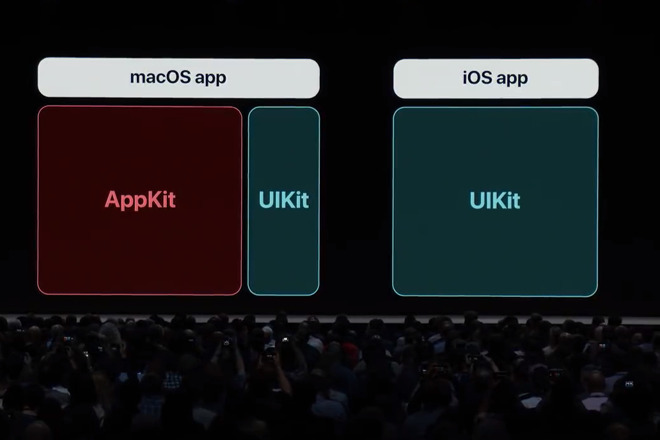 Developers were promised access to the cross-platform within the year, and an early SDK is expected to debut at WWDC 2019. AppleInsider will be covering WWDC live from June 3 to June 7.